Megan Proulx Dempsey is Senior Corporate Counsel at TECO Services, Inc. She joined TECO’s legal department in 2007 and has worked in multiple practice areas serving virtually all areas and levels at TECO. Megan regularly advises on a range of complex matters, such as commercial real estate, labor and employment, eminent domain, and commercial transactions. Megan has also spoken many times on these same subjects to professional audiences. Megan earned her bachelor’s degree from the University of Tampa and received her J.D. from Stetson University College of Law. Megan has a passion to advocate for the health and safety of children and families and to be a voice for those whose voices go unheard. Her charitable work includes serving on the board, including as President of Voices for Children of Tampa Bay and Gigi’s Playhouse in Tampa. 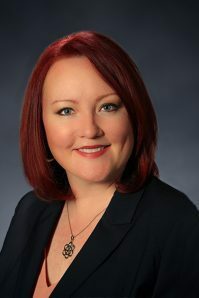 She is a graduate of Leadership Tampa Bay (2012) and a member of several professional organizations, including the Florida Bar Real Property, Probate and Trust Law Section, the Propeller Club – Port of Tampa and the Commercial Real Estate Women of Tampa Bay. Megan and her husband, Jeffrey Dempsey, have three beautiful children.